A motorcyclist was airlifted to Harborview Medical Center in Seattle for treatment of serious injuries from a motorcycle accident near Bucoda Friday night. According to the Washington State Patrol (WSP), 38-year-old Sky Lelo of Tenino was riding his blue 2002 Harley Davidson north on State Route 507 at approximately 6:30 p.m. Friday near milepost 7. Troopers say Lelo attempted to avoid traffic but lost control of his motorcycle and crashed, which caused him to be ejected from the motorcycle. The WSP report did not list any additional vehicles as being involved in the crash, though there were very few details about what else may have contributed. Troopers will continue to investigate the scene and determine if any other factors may have been involved. There are a number of reasons that hiring an attorney immediately after a serious crash can be beneficial to the accident victim in the long run. For instance, an attorney can help preserve any important evidence that may help prove a victim’s innocence, as well as whether any other vehicles involved in the collision might be at fault. A number of questions remain in this particular case; the WSP report allegedly states that the motorcyclist was trying to avoid traffic, but the news reports say that troopers did not indicate that any other vehicles were involved in the collision. The motorcyclist could have potentially been avoiding a potential collision between other vehicles, or he could have misjudged traffic himself and had to slam on the brakes as a result. 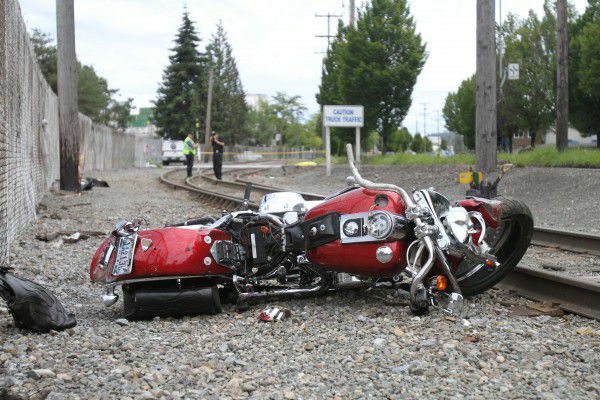 The results of the WSP investigation will help to determine who is responsible for causing this collision, which in turn would help the motorcyclist determine if he may have a viable personal injury claim. 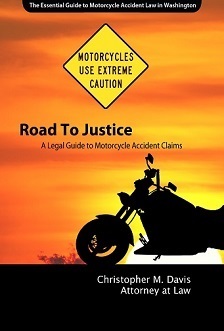 Of course, consulting with an experienced personal injury attorney in these complex situations is often a good idea, especially considering that most personal injury attorneys work on a contingency fee basis and therefore do not charge accident victims any up-front costs for a consultation. Call the award-winning attorneys at Davis Law Group in Seattle at (206) 727-4000 or use the confidential contact form on this page to request a free consultation.